FilmJuice Competition: To celebrate the release of one of the best films of the year Leave No Trace we've got TWO DVD copies to Give Away! 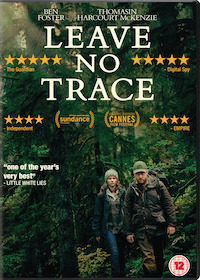 For your chance to win, simply answer this question (entry details at the bottom of page): Which celebrated actor stars in Leave No Trace? LEAVE NO TRACE is available to Download and Keep on October 29 and out on DVD on November 12. 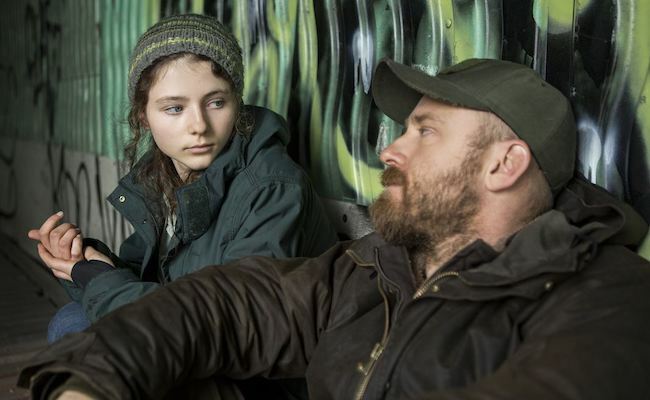 Based on Peter Rock’s novel My Abandonment, LEAVE NO TRACE revolves around a teenage girl (Thomasin Harcourt McKenzie) and her father (Ben Foster) who have lived undetected for years in Forest Park, a vast wood on the edge of Portland, Oregon. A chance encounter leads to their discovery and removal from the park and into the charge of a social service agency. They try to adapt to their new surroundings until a sudden decision sets them on a perilous journey into the wilderness seeking independence and forces them to confront their conflicting desire to be part of a community or a fierce need to live apart.